Injector Cleaning in modern vehicles improvements in performance and economy can be directly linked to the detailed management of delivering fuel and injector cleaning is an essential servicing process often over looked. . The ECU,s (electronic control unit) have become far more powerful and sophisticated and in turn the injectors have become more precise in their delivery of fuel to the engine. This advance has resulted in incredible levels of performance and economy. Just look at modern day turbo diesel. The 1.9 VAG unit for example 160bhp and nearly 60 mpg in standard form up to 195bhp in Response chipped form with even more economy ! This progression in performance and economy however has meant that to maintain these levels of performance your injectors must be kept clean and, in the vast majority of cases this is simply over looked. 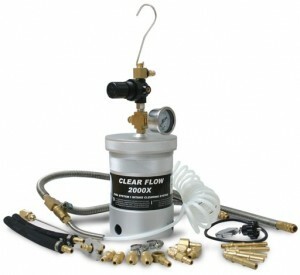 We want the performance but don’t maintain the machine correctly but injector cleaning can restore your injectors and performance to the correct levels..
Thousands of litres of fuel pass through the injectors and sulphur and varnish deposits cause the spray pattern to degrade over time and with usage. 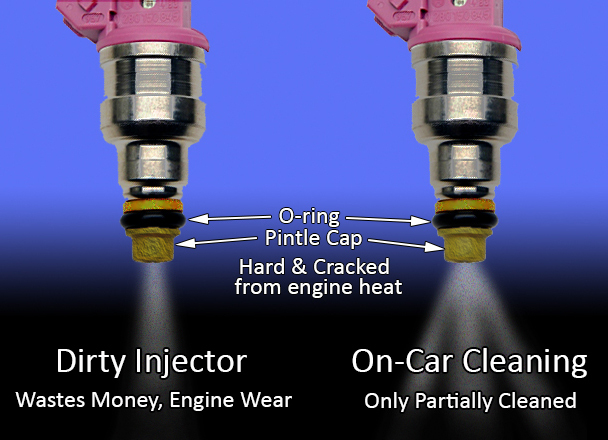 All vehicles WILL suffer from this to a greater or lesser degree and Injector Cleaning is the answer. This in turn leads to a drop off in performance which can be felt. Jerkiness, flat spots, poor day to day running and a drop off in performance, however because it’s gradual you only really notice the difference when they have been cleaned. We see many vehicles which display driving faults which are found to be contaminated injectors. We have specialist injector cleaning equipment to complete the task of returning these small but essential components back to their optimum performance. The vehicles fuel tank is disconnected and looped back on its self. An auxiliary tank is then hung from the bonnet and the fuel system hooked up to this tank which is then pressurized to fuel pump pressure. The vehicle is then started and run on an intensive detergent and left to clean through for about 30 minutes. This cleaning process is a genuine performance upgrade and can be felt. We recommend that you clean your injectors every 30,000 miles and also when having your vehicle fitted with a Response Chip.